For those unable to attend Ash Wednesday services, clergy offers "Ashes to Go"
Several clergy belonging to the Episcopal Diocese of Fort Worth will offer "Ashes to Go," in addition to the traditional Ash Wednesday worship services this year. 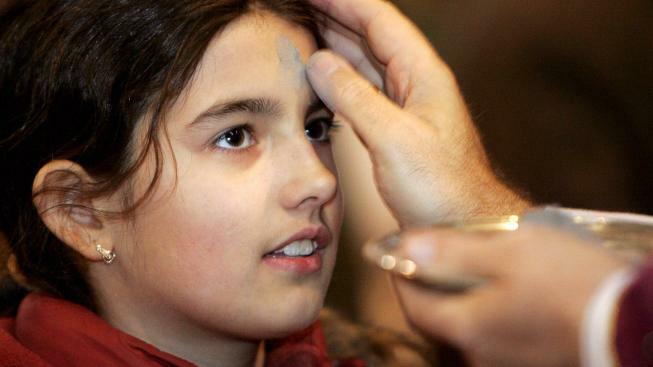 Ashes to Go began almost a decade ago when some Episcopal churches decided to take the Ash Wednesday ritual outside church walls and bring it to the people. Churches brought ashes to people in diverse places such as train stations, city plazas, coffee shop parking lots and on the sidewalks of downtown. So this Ash Wednesday, Ashes to Go will be offered in multiple cities, including Fort Worth, Decatur, Granbury and Keller. Sundance Square, Downtown Fort Worth -- the Rev. Canon Janet Waggoner and other clergy will have Ashes to Go for passersby from 11:30 a.m. to 1:30 p.m. on a sidewalk on the square. Phone: 817-926-8277. Ashes to Go, 7 - 9 am, Starbucks at I20 and Trail Lake Drive. Ash Wednesday worship at noon and 7 pm. St. Luke in the Meadow Episcopal Church, 4301 Meadowbrook Drive, Fort Worth, TX 76103, Phone: 817-534-4925. Ashes to Go, 7:30-8:30 a.m. and 2:30-3:30 p.m. on the corner of Meadowbrook and Somerset. Ash Wednesday worship at 7:00 p.m. Phone: 817-926-4631. Commuter Service, 7 am on lawn of church with worship to follow in the Chapel for those who can stay. Ash Wednesday worship: 12:15 and 7 p.m.; Children's Service: 4:30 p.m.
Episcopal Church of the Good Shepherd, worshiping at the Seventh Day Adventist Church, 2016 Acton Hwy (FM 4), Granbury 76049. Ashes to Go at Red on the Square, 11:30am-1:30 pm. Worship service at the Adventist church building, 6pm. Phone: 817-431-2396. Drive-Thru Ashes in the parking lot 5:30-6:30 pm. Worship services: noon & 7 pm. Last year, Ashes to Go was offered in more than 25 states in the United States and in London, England, and Cape Town, South Africa, according to the Episcopal Diocese of Fort Worth. The idea is to offer a low-key invitation without pressure to allow people to receive ashes even if they cannot attend one of the traditional services planned at every Episcopal Church in the Episcopal Diocese of Fort Worth.